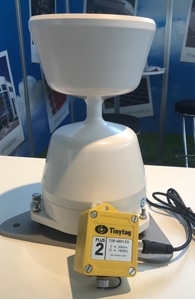 We are pleased to announce the new range of Tinytag Instrumentation data loggers which can be used to record outputs from a variety of third-party sensors to measure properties such as pressure, flow-rate, rainfall, and footfall. The loggers can be factory-configured to the user's specification, allowing them to be scaled to show readings appropriate for the sensor they are connected to. In this way, customers can take advantage of Gemini's expertise in data logging technology to provide specialist loggers for a wide range of applications. Logger inputs include voltage from 0 to 25V DC and current from 0 to 20mA DC. A count input data logger will also record up to 14,000 counts per logging interval. The battery powered, portable Instrumentation loggers are available in two case styles; the rugged and waterproof Plus 2 case, and the splash-proof View 2 case with a display. The data loggers also have a high reading resolution and accuracy, and include a low battery monitor. The loggers are supplied with the appropriate input lead to connect it to a third-party sensor, and for sensors that already have an output cable, a 2/5 pin connector plug is available separately. To confirm that one of our Instrumentation data loggers can be configured to work with a specific sensor, please submit our Instrumentation Scaling Form. Once we have confirmed that we can proceed, a reference number for the configuration will be supplied for you to add to your order.